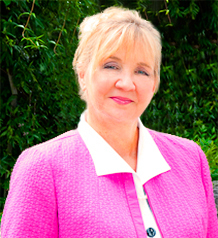 Lindy Benton, CEO of MEA|NEA, a provider of electronic attachment solutions, health information exchange and secure, HIPAA-compliant cloud storage that is used by more than 45,000 medical and dental practices joins eHealth Radio and the Health Care & Technology Channels. Can you discuss MEA|NEA a bit? How does the organization serve those in healthcare, and what are the benefits of health systems working with you? Likewise, how do your solutions improve the patient experience, or help make their experiences with healthcare better? MEA|NEA has a strong background serving the dental community. Tell me about that and how this has helped you better serve medical practices and hospitals. You say that electronic data and data exchange is more secure than paper charts and files. Even with all of the press we hear about data breaches, you claim electronic records are still far more secure than paper. Can you tell me why you feel this way and provide some justification for your thinking? Tell me more about your business lines. For example, MEA|NEA is primarily an electronic attachment solution provider, but is emerging into new markets. Can you discuss your evolution as an organization and how that might mirror the opportunities you currently see throughout healthcare? How are you evolving from a product perspective and how are they helping the healthcare sector? What are some of the most pressing issues to come in the next 12 to 18 months and how are you helping address them? Lindy Benton has worked in the Healthcare Information Technology field for more than 20 years and is currently the CEO of EA Holdings, which includes MEA and NEA. Before joining MEA|NEA, Lindy served as divisional executive at The Sage Group, managing a $350 million division with 1,400 employees. Prior to Sage, Lindy worked at Cerner Corporation for 15 years. She held various leadership positions, wherein she achieved double digit revenue growth while building high performing teams that were consistently recognized year after year with Outstanding Achievement Awards. Previously, she worked at Digital Equipment Corporation as the division manager responsible for healthcare business in the Southeast. Lindy serves on advisory boards for several health IT and capital investment companies, working with executive teams to drive both acquisition and organic growth strategies in North American and global markets. Lindy is a member of the Foundation Board for Florida Hospital for Children and serves on executive councils for several health related committees and industry associations. She is also an active member of the Atlanta Chamber of Commerce. Lindy holds a Master of Science degree from Florida State University with extended post graduate work in Measurement and Statistics.